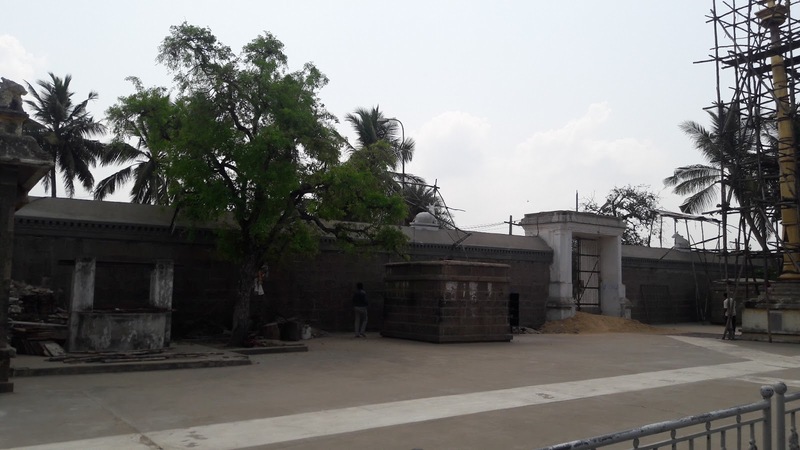 Tirumullaivoyal Temple is unique in many ways. One is that the swayambu lingam is covered with sandalwood paste all through the year. Only on tamil month Chitirai, Sadayam Nakshatra day, the sandalwood paste is removed and a new sandawood paste is applied to the lingam. Agasthair.org details that Masilamaneeswarar refers to the Shiva who symbolises the aspect of flawless gem as seen in their weblink below. The darshan of the Lingam without sandalwood paste is said to be the darshan of the light of eternal truth as explained in their weblink below. 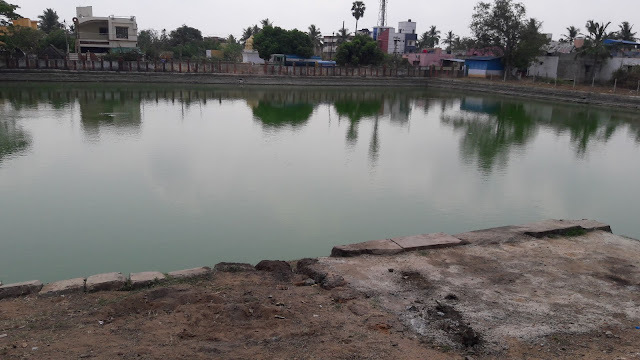 Chitra Sadayam in 2018 is on May 10 2018. Having darshan of Masilamaneeswarar on May 10 2018 during sunrise is said to very auspiciousn since we would get the darshan amidst Rishis, Siddhas and angels. Sri Agasthya Vijayam, the monthly spiritual magazine details that there used to be a sannidhi for Dwara Shakthi Amman in this temple before 1990s. One had to have darshan of the dwara shakthi devi only through a small hole. 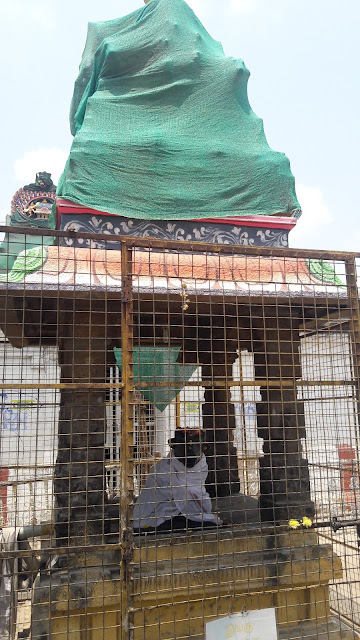 After 1990s, somehow the devi sannidhi has been removed in the temple by mistake. Dwara shakthi Ambika is the devi who blesses women with Sowbhagyam and good children. Our bodies are said to have 9 Dwarams including eyes, ears, nose, mouth, places where we urinate/excrete, navel etc. The menstrual period in women is the time, women are irritable because of negative vibrations that can take over their mind and cause physical discomfort also. Sri Agasthya Vijayam details that Veera Ganapathy is the lord who solves menstrual problems of women and protects their chastity. 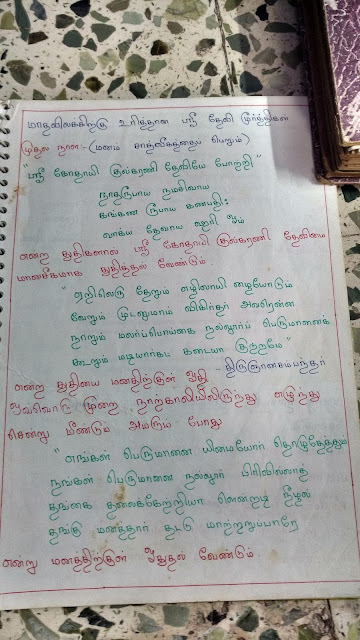 The Three devi forms protecting women during the 3 days of menstrual period has also been revealed by Sathguru Venkataramam in the spiritual magazine Sri Agasthya Vijayam. 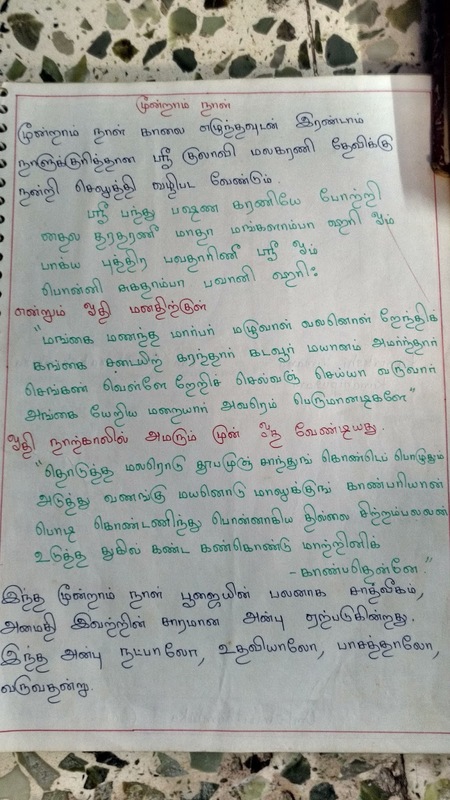 The sloka to be recited during the 3 days has also been detailed in their magazine. Chanting the slokas during menstrual period days blesses women with Sowbhayam, good children and relief from in laws problems as per Sri Agasthya Vijayam. 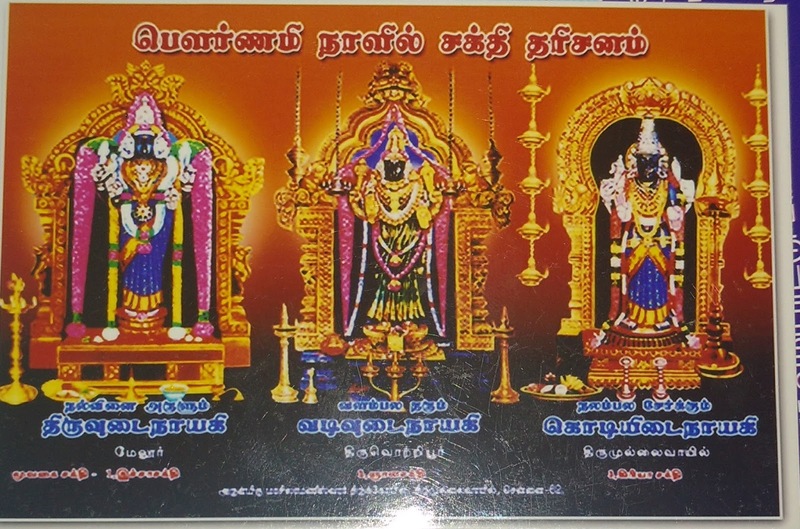 Dwara Shakthi Ambika in Tirumullaivoyal is said to be the unified form of the above 3 karani ambika forms. Worshipping devi here solves women's health issues related to fertility. Pooja can solve girls problems who have not attained puberty, women with irregular periods and also bless them with good children and sowbhagyam in life. Also the karani ambika worship during the 3 days blesses women with bliss and motherly love towards all creation. It a divine form of bliss as a prasad of the karani ambika worship. 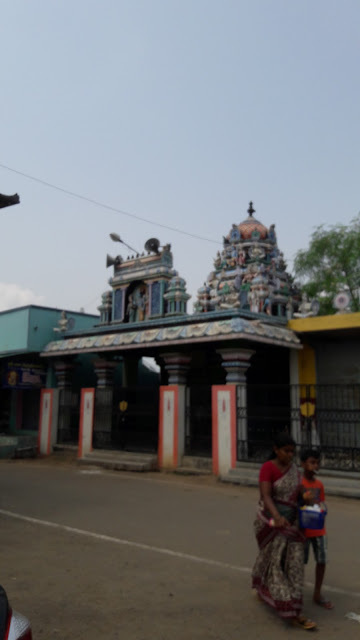 The devi forms in 3 temples, Melur, Tiruvotriyur and Tirumullaivoyal near Chennai are said to be the forms of Iccha Shakthi, Kriya Shakthi and Gnana Shakthi of the Goddess. 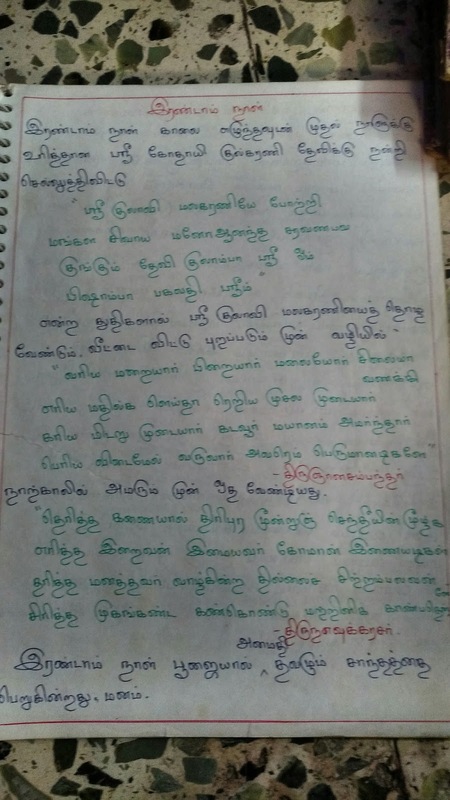 Once Thondaiman Chakravarthy king was returning from battle where he could not defeat asuras. On his way back, his battle elephant's leg got caught in mullai flower creeper. The king cut the creeper with his sword. 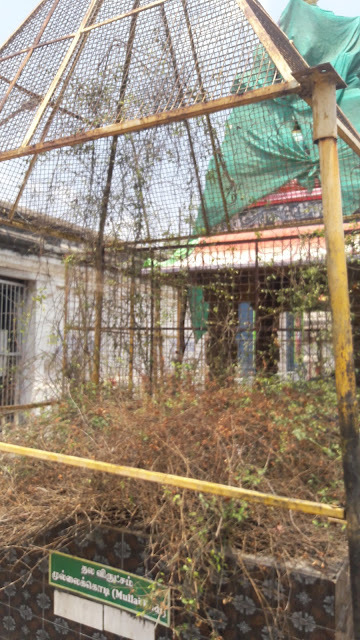 The Swayambu Lingam under the mullai kodi got cut by the sword and blood oozed out of the creeper area. The king tried to kill himself since he had tried to cut the lingam. 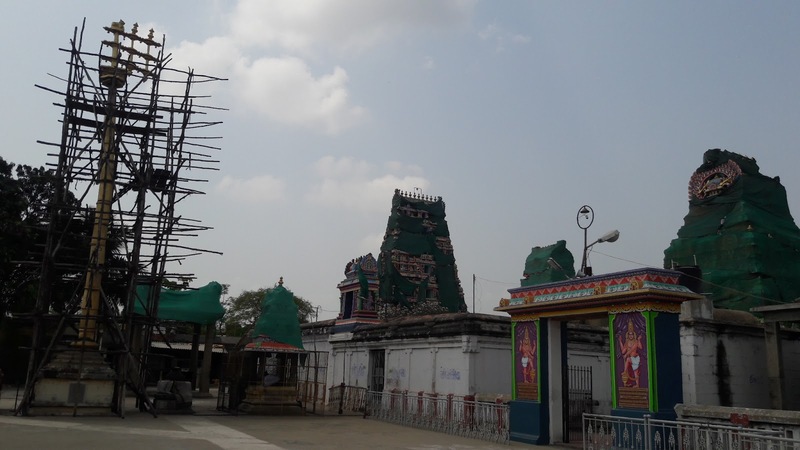 Lord Shiva gave darshan to the king here and said he will remain without flaws despite having a cut in the lingam. Hence the name Masilamani eswarar. 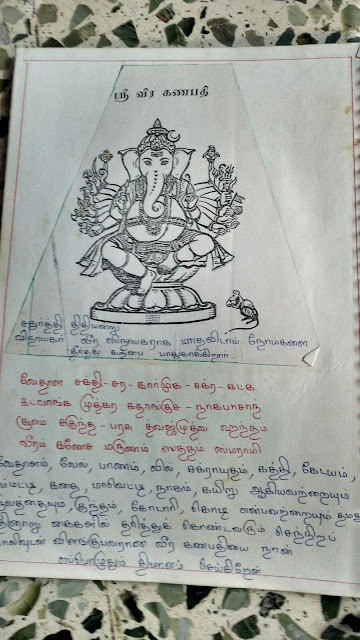 Shiva has a Gaja Brishta Vimanam or the vimanam in the shape of the back of the elephant. Shiva sent his nandhi along with the king to fight the battle with asuras again. The King won the battle the second time, The king constructed the temple here and Nandhi Deva is seen near the Sthala Vriksham, Mullai Creeper here. 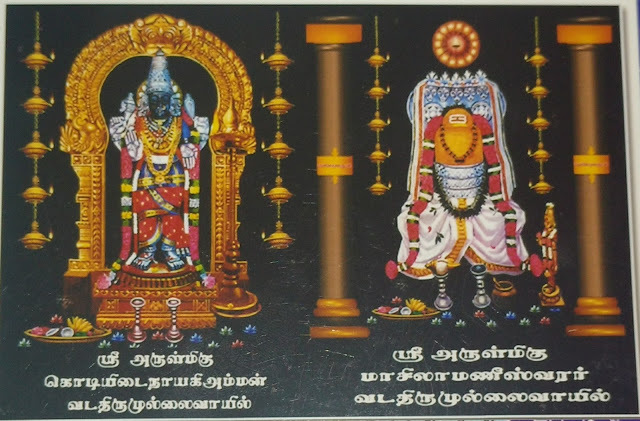 Nandhi does not face Shiva here and faces outside. This is because nandhi was sent to battle along with King to defeat negative forces. Hence he faces outside till date. The king brought two vellerukku thoon or pillars from the asuras and installed in front of the Shiva Lingam here. 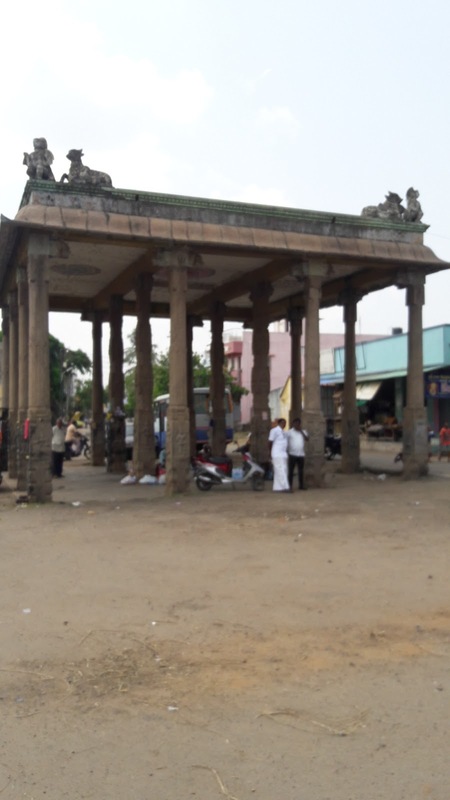 The Velerukku thoon/pillars are home to many celestial angelic beings well versed in medicine and cure even incurable diseases. Agasthiar.org details that devotees should circle the pillars and donate sesame oil, coconut oil and shikakai powder to poor people here in order to get cured of their diseases here. Also ven pongal is to be donated here. The weblink given above in this post details the same. Also this temple is the place where Indra got cured of his nervous problem and hence worship here solves ones nervous problems. 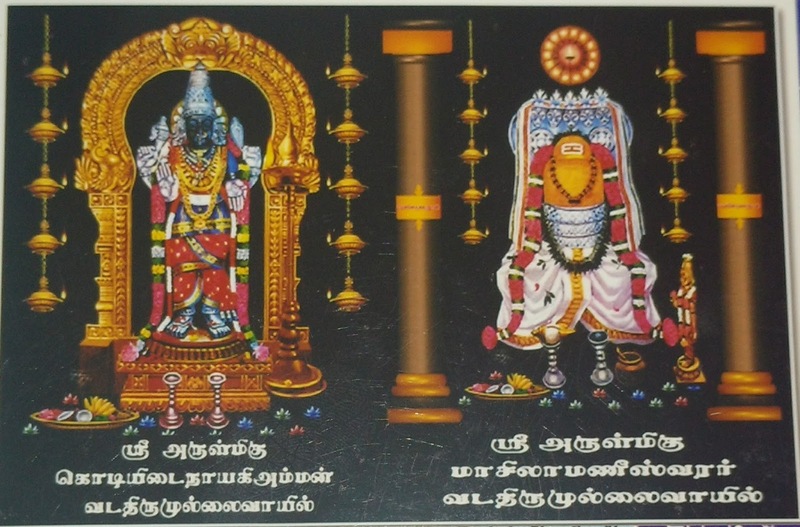 Bhairava here is seen without Vahanam outside the temple. Such a Bhairava form is said to be Gnana Bhairava form. 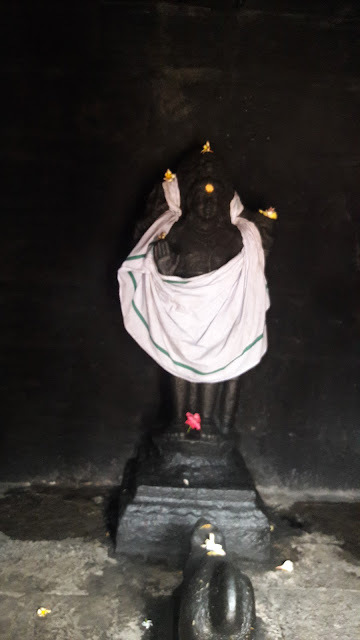 He is seen with his Bhairava Dhandam here.